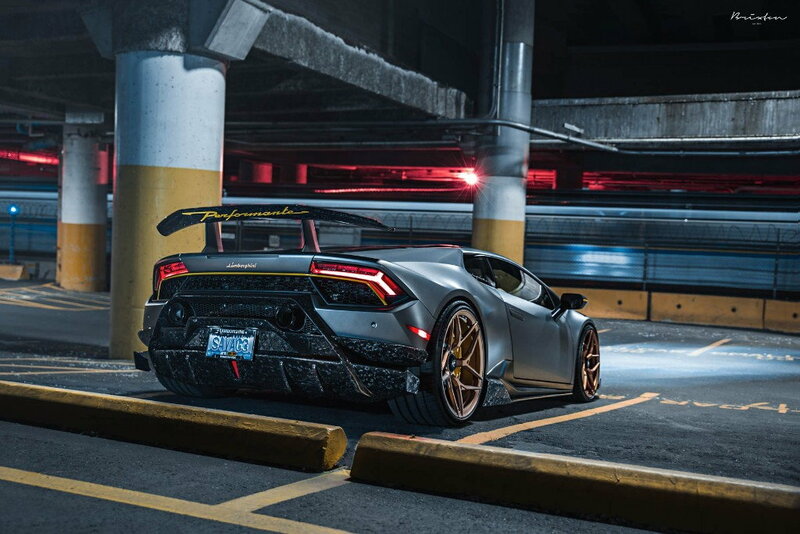 LAMBORGHINI PERFORMANTE: Every auto aficionado should have a chance to drive the 2018 Lamborghini Huracán Performante. 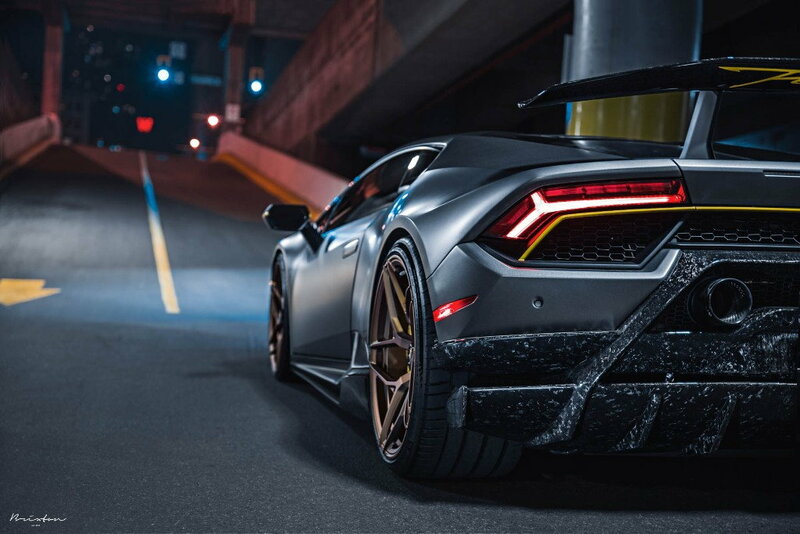 Scratch that—every human should drive this Lambo at least once. Doing so would result in world peace. A universal state of nirvana. The end of humans doing anything else. That’s because we’d all be standing in line for a chance to drive this mind-searing performance machine again. 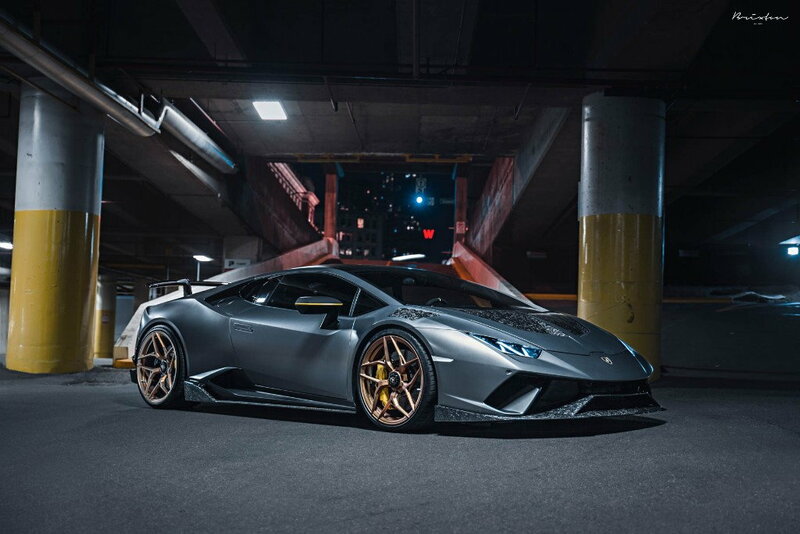 Mere words fail when attempting to describe the experience of piloting this 631-horsepower, V-10-powered, $320,000 wedge of la dolce vita. 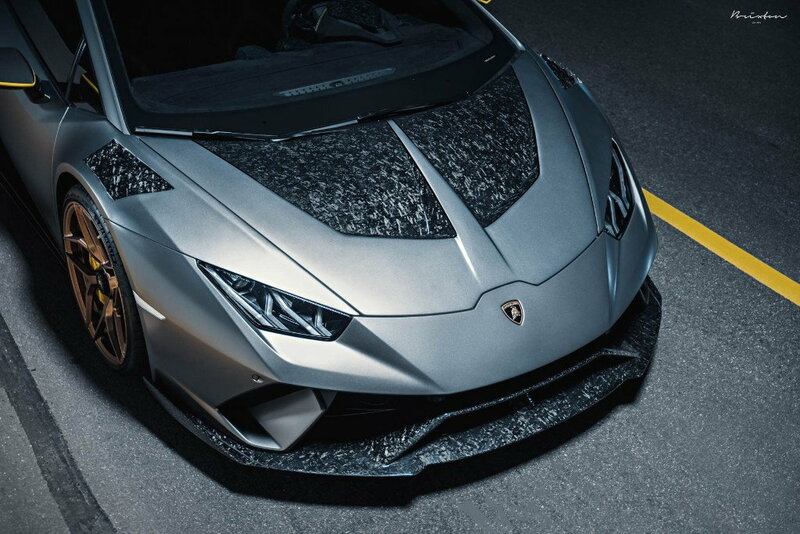 I mean, the all-wheel-drive Performante, a lighter, more potent version of the already almighty Huracán, is capable of accelerating from a dead stop to 60 mph in just 2.3 seconds. Try it just once, and you’ll know you know exactly how it feels to be a baseball thwacked by the bat of Albert Pujols. One second you’re here, and the next you’re … gone. 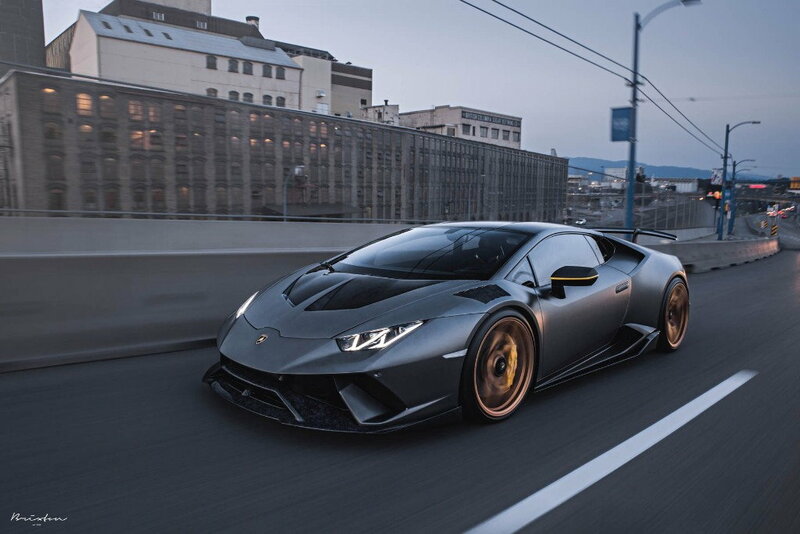 Taking this Matte Grey Lamborghini Performante to new heights, the owner had the car outfitted with a VF Engineering Supercharger, 1016 Industries forged carbon aero, Novitec suspension, and of course, a set of 20×9 and 21×12.5 Brixton Forged PF5 Ultrasport+ lightweight forged wheels finished in an eye-popping 600 grit polished Olympic Bronze with a satin clear.